Select the correct English adverbs and verbs to complete the sentence. 1. The teacher (VERBS CARD 22) math problems to the students (ADVERBS CARD 16). 2. The driver (VERBS CARD 16) the bus (ADVERBS CARD 19). 3. He (VERBS CARD 45) (ADVERBS CARD 13) injured. 4. He (VERBS CARD 51) (ADVERBS CARD 50) kind to her. 5. That's (ADVERBS CARD 20) what I (VERBS CARS 1) (VERBS CARD 45) trying to say. 6. Don't (VERBS CARD 12) those flowers so (ADVERBS CARD 40). 7. She (VERBS CARD 51) lunch (ADVERBS CARD 18) in the cafeteria because she (VERBS CARD 45) late yesterday. 8. The children (VERBS CARD 81) playing (ADVERBS CARD 10) in the park. 9. The American can (VERBS CARD 16) Japanese (ADVERBS CARD 47) well, (ADVERBS CARD 15) he is bilingual. 10. The files are (ADVERBS CARD 9) large and may (VERBS CARD 2) some time to download. 11. 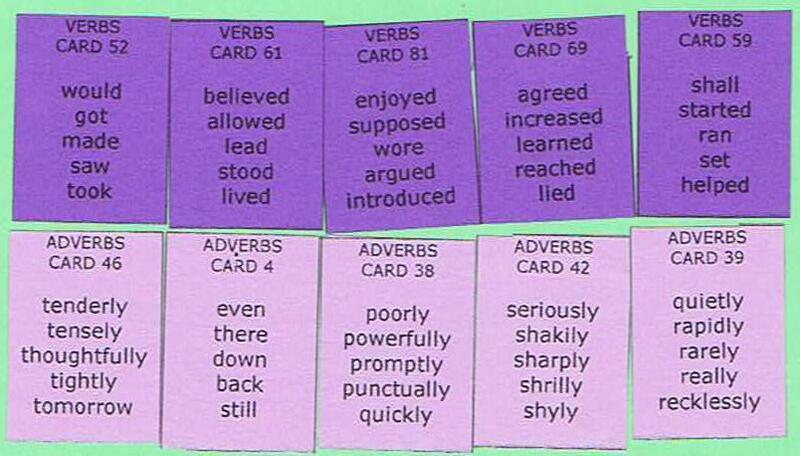 The sales in this quarter (ADVERBS CARD 42) (VERBS CARD 69). 12. We are (VERBS CARD 81) to start this meeting (ADVERBS CARD 38). 13. Since I (VERBS CARD 52) busier, I am (ADVERBS CARD 39) at home these days. 14. During the exam, they are not (VERBS CARD 61) to eat or (ADVERBS CARD 4) drink. 15. After a long silence, she (VERBS CARD 59) talking (ADVERBS CARD 46). 16. The student (VERBS CARD 83) the host family for receiving him (ADVERBS CARD 48). 17. They (VERBS CARD 51) a party for me (ADVERBS CARD 47). 18. 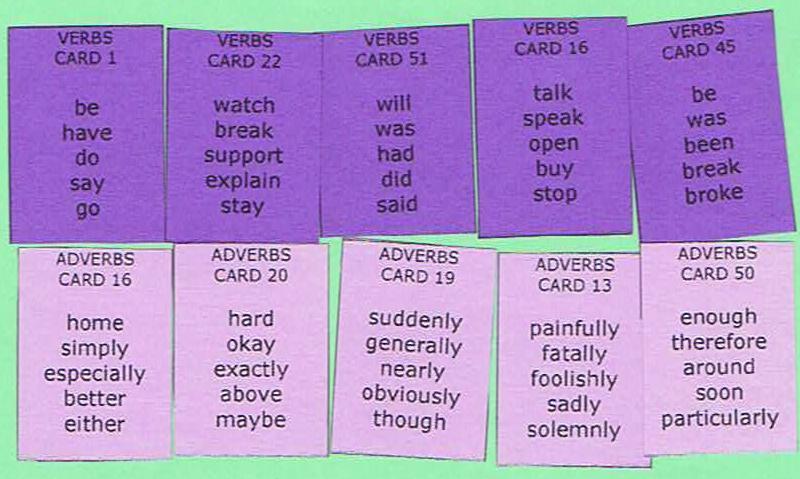 She (VERBS CARD 100) to drink coffee (ADVERBS CARD 40). But now she doesn't any more. 19. It's a relief that we (ADVERBS CARD 41) (VERBS CARD 82) at home. 20. 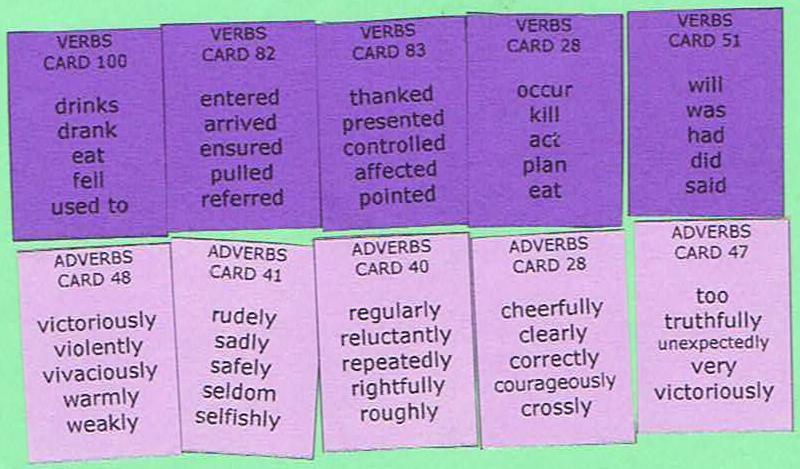 They (VERBS CARD 28) (ADVERBS CARD 28), so it always makes me happy.